Well, how is February treating you so far? My most burning question is have you bought and eaten any Valentine’s Day candy yet? This week I did a comprehensive review of how we like the sofa we purchased on Amazon. I also shared my gallery of thrifting regrets from Facebook Marketplace. In other news, I did not watch Sunday’s “big game.” Not even the commercials! I did make some “big game” food though. It seemed like I should somehow participate in the day’s activities and food is the best part! 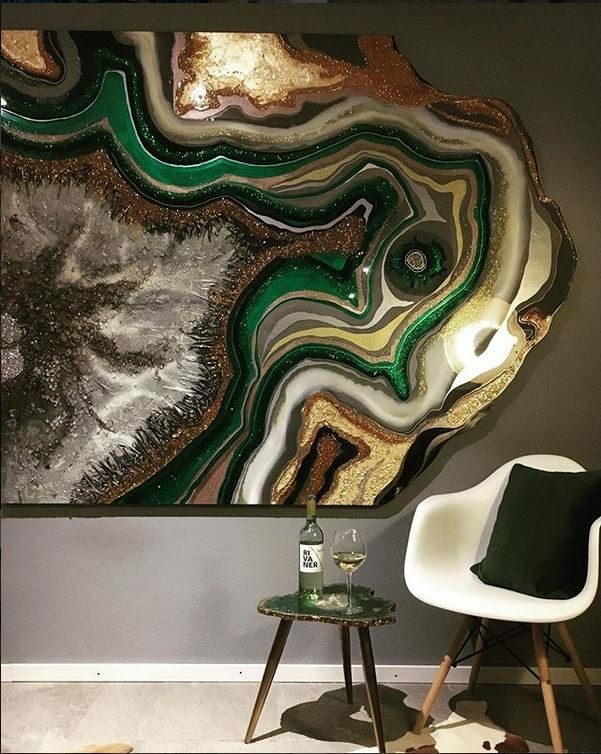 Leave it to Pinterest to let me stumble upon an artist in Germany who makes resin geode art. Now I want to go to Germany to take one of Mrs. Colorberry’s resin workshops! Anyone who works at a school or has school-aged children – this is an AWESOME idea. 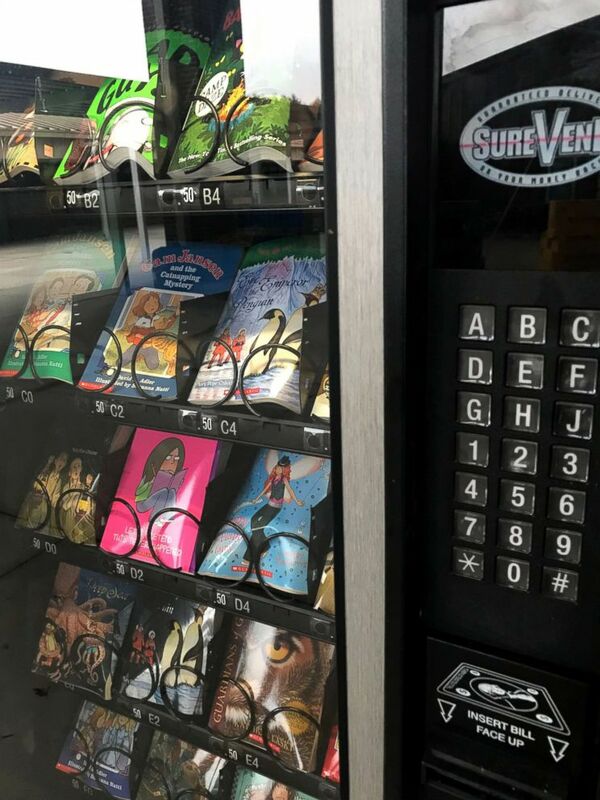 Umatilla Elementary School in Florida awards students with school “bucks” for good behavior that they can use to buy books at this vending machine. Every school my kids have attended have had these type of rewards, but they are usually redeemed in the school store for pencils and other junk they don’t need. In fairness, sometimes they can be redeemed for lunch with the teacher or something like that. Instead of the school store, I’d much rather they be able to buy a book. Plus, kids LOVE using a vending machine. Do you get the Atlas Obscura e-newsletter? It’s one of my favorites for random education about our world. I recently read about the Valentine’s Day tradition of exchanging lovespoons in Wales. Historically, a man would carve a spoon and give it to a woman. If she accepted his spoon, they would get married. I’d still prefer a ring, but I can see how practical a wooden spoon would be in the 1600s. Some of these spoons were passed down through generations and additional carvings were added each time it passed to a new couple. Now that melts my heart. Today, the gifting of spoons is associated with Valentine’s Day and not betrothal. Such a pity. I found a bunch of lovespoons on Etsy and this one by Welsh Lovespoons was my favorite, but it was hard to choose. What are the chances Handy Husband will whittle me a spoon for Valentine’s Day?!?! 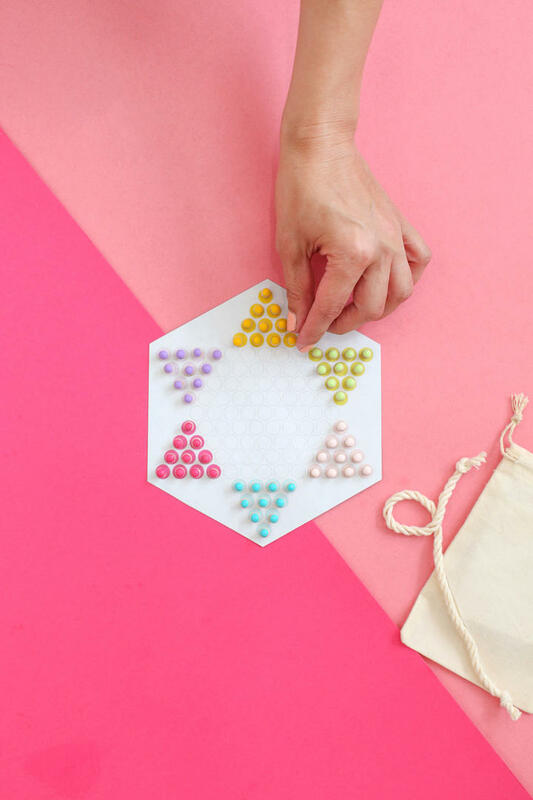 This is a clever idea using magnetic paper . Did you know that was a thing? And can paper be magnetic? I need to know! There’s a template you can print out to make this project easier too. All the details and directions are on the Better Homes and Gardens site. If you want to make some EASY cookies for Valentine’s Day, or any day, please make these Red Velvet Butter Cookies. They use a box of red velvet cake mix, which gives the cookies an amazing cake-like texture. I just made them again last week for some teachers at my son’s elementary school and they never disappoint. 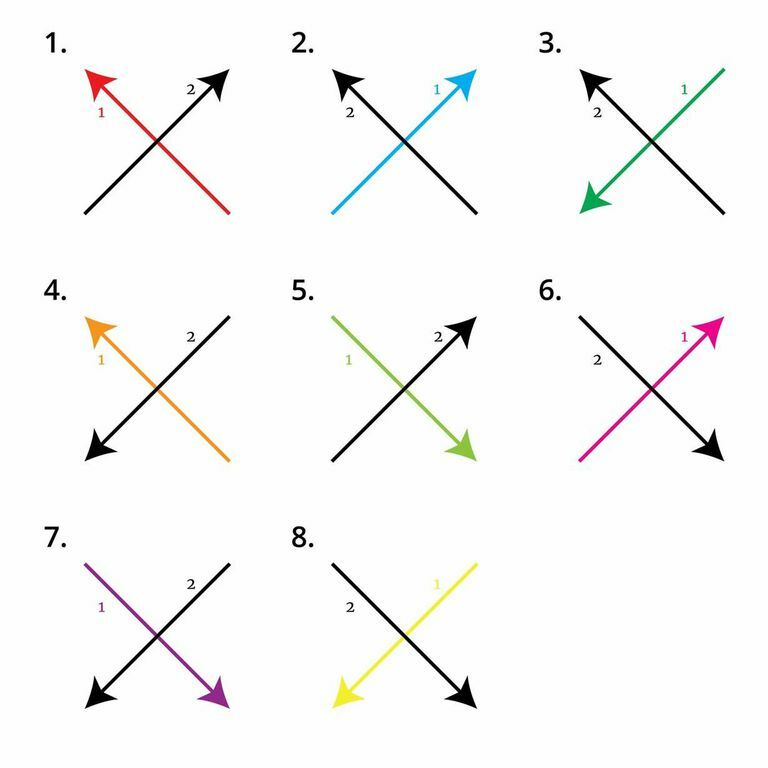 HOW DO YOU WRITE THE LETTER X? According to this article in Women’s Health, how you write the letter X says a lot about your personality. Uh huh. Sure. These quizzes are ridiculous, but I got suckered in. Turns out I write the letter X how I was taught in school, which means I like order and balance. Doesn’t everyone?!?! Ha! One of my children is a lefty and he writes his X like #8. If you want want to see what each of these mean, click here. 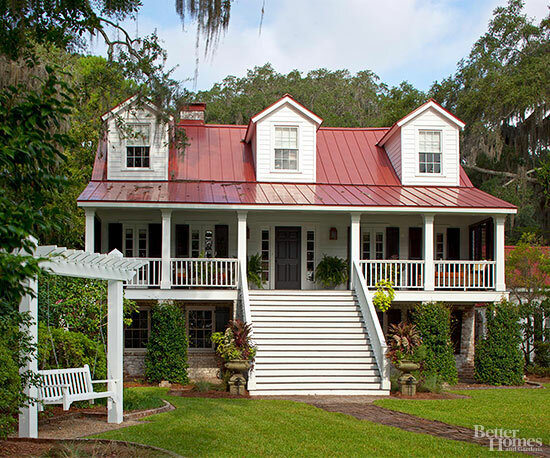 How do you feel about a tin roof? I either love them or loathe them depending on context. No in-between for me. Pictures of the inside of this home can be found at Design Chic. If you want a good chuckle, you have to read this story about an Alabama dad’s lunch notes to his 5 kids. I laughed out loud! He’s been writing these funny notes for 14 years for his 5 kids. As the kids have gotten older he’s been able to have more fun with the humor portion of the notes. 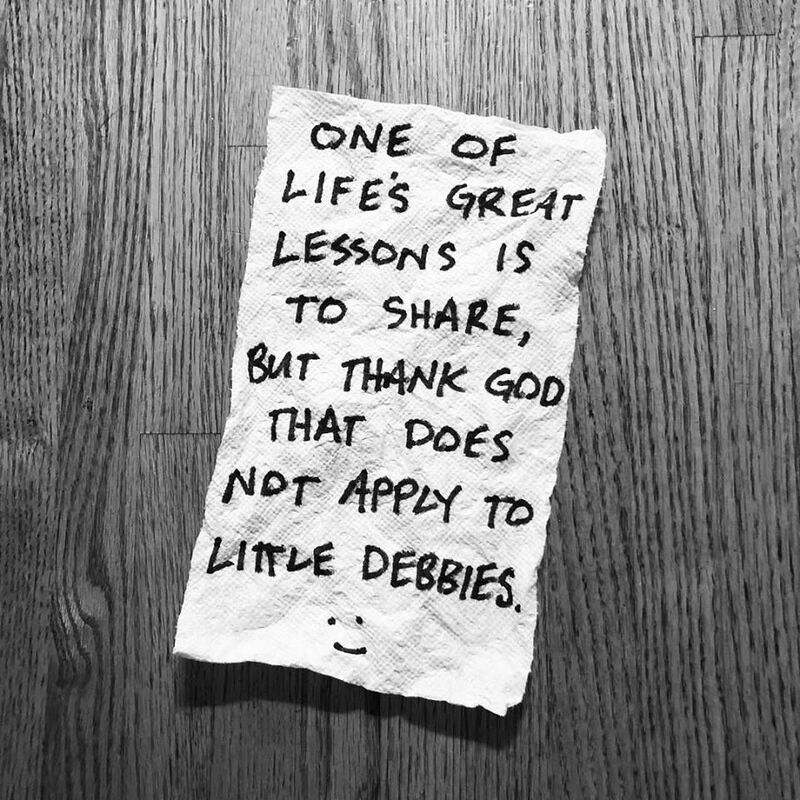 He’s now posting his lunch notes daily on Instagram if you want to follow along.